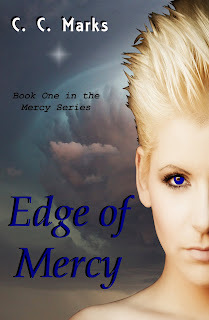 Well, it's July 31st, 2012, and my goal date to have Edge of Mercy published. I almost made it, and I'm okay with that. The book is available on Amazon and will be available at Barnes and Noble and Kobo by the end of the week. Sony and Apple will be a little later, but it will make it to both. In the spirit of the Olympic times, I think I earned a silver, at the worst a bronze in self-pubbing, and I'm going to go for gold next time. It's not perfect yet, but hey, it's pretty, darn good for a first try, and I learned so much about myself and about publishing for myself. 10. Even if they are very supportive, your family (especially your seven-year-old) won't feel the same urgency to get every little detail just right that you do. Matter of fact, they might even complain about "all that time you spend in front of the computer." 9. Which leads me to my next point--The first time you self-publish, be prepared to spend a lot of time in front of the computer. Beyond typing, editing, re-editing, re-re-editing, you will also be communicating with editors, beta-readers, formatters, cover artists, potential readers, reviewers, previous self-pubbers. Also, per the learning curve, each step takes trial and error, which can be time-consuming. Very time-consuming. 8. To save money, you CAN do everything yourself, but be prepared for some very painful and epic FAILS if you choose to do so. I did my cover countless times, not always because I didn't like it. Sometimes, it was because computer gremlins attacked. Sometimes, it was because my short-term memory has issues. A couple times, I formatted, converted, converted, saved, and then realized I'd forgotten some of the front and back matter of the book. I was on a less-than a shoestring budget, so I did everything myself, but next time, I plan to hire freelancers as much as I can. 7. If you're going to save time, you CAN'T figure it all out yourself. You have to research the process. The good news--there are bookoos of resources available. You just have to find them. Personally, two resources I count as invaluable to my process are kentuckyindiewriters.blogspot.com and the Indie Romance Ink Yahoo loop. Both are beyond informative, and I wouldn't have attempted anything I have without the many willing self-pubbers sharing their successes as well as mistakes. It was a quicker and, in many ways, better education than the one I went to college for. The Indie community is a generous group. 6. There will be bumps along the way, some major potholes. One that comes to mind is when I uploaded to pubit.barnesandnoble.com. Turns out, they want a different size cover image than the other sites. It took me a good twenty minutes to figure out why it wouldn't load my cover. Then another thirty to re-size to the right dimensions. I will probably go back and tweak that one when I can because it skewed the cover to re-size it. 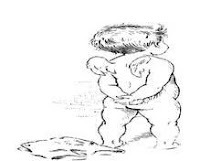 But, the point is, expect problems, and if you can, which I didn't do well this time, give yourself EXTRA time to compensate for the inevitable issues that arise. 5. Do a "soft-release" first. This basically means, actually set a release date, but upload it at least a week ahead of time. It's best to upload to Smashwords about three weeks before your intended release because it takes up to that long to get into the premium catalog which is how you get distributed to other retailers. But if you're like me, you're tweaking and editing constantly until you have to publish it to keep yourself from going crazy in the pursuit of perfection. Barnes and Noble and Kobo can take up to 72 hours, and though Amazon usually takes less than a day, there have been threads on the Yahoo loop that mentioned it has taken up to a week. So, it's best to upload well before you actually plan to announce the release. If you happen to get a few buys before the official day, maybe they'll post a good review and get things moving all that much quicker. 4. One of the best benefits of self-publishing, especially electronically, is the fact you can upload changes easily. Don't get me wrong; you want to get your book to the best it can be before you publish, but if you want to add back matter (links to new releases), a different cover, a tighter blurb, or (hopefully not, but it happens) edits, you can do it with a click of the mouse. This is different from trad publishing because if there were mistakes, an author didn't always get a second chance to get it right. Now, keep in mind, any earlier versions that were downloaded before the changes will remain the original version; however, at Amazon, at least, there is a way to send out a message to let people know they can download an updated book if they would like. 3. Believe it or not, you're going to obsess over your baby. Yes, it's true. You will probably be like every other newbie pubber and check your numbers constantly. Eventually (I hope), this will fade, but at first, sales reports, rankings, reviews are going to be the Three "R's" that rule your every waking moment. If you can though, set limits for yourself. Only check sales reports once (or twice at the most) a day. Set a particular time, and hopefully when the numbers go up, you'll be pleasantly surprised. Also, don't stress over rankings. Yes, the higher you are on the "lists," the more visible you will be, but your first book isn't going to soar to number one (MINE IS!) without a lotta, lotta help and luck. Eventually though, with a few marketing hits, you might see a surge in rankings. Then again, you might not until you have more to offer (but I'll get to that in a minute). And, of course, the scariest "R" of them all--reviews--will make you sweat at night, if you let it. First, the anxiety is because you don't have ANY reviews. Then, when the reviews begin coming in, that's a whole different kind of scary. Just keep in mind, it's rare to please everyone. Hopefully, you'll find your audience quickly and get a few 5*'s to start things off, but if you don't, don't let it get you down. Don't over-think what you could have done differently. Just realize not everyone is going to like what you write, and that's just the way life works. In that case, grab some chocolate, your fave soothing beverage, and put your BICHOK to work on the next one. 2. Truth is, you just have to go for it. No matter how hard you work on your manuscript, there's no such thing as perfect. Eventually, if it's something you want to do, you just have to create the best product you can and share it with the world. Believe me, no one is going to believe in your book more than you, but no one is going to even know about it unless you share. Plus, some people will even PAY you to read it. So yeah, we all write because we love it and all that shhttuff (tee-hee), but if you're interested in publishing, you're probably interested in making money doing what you love. For the first time, authors (not just the super best-sellers) have the opportunity to make a living writing. But you can't do that unless you go for it. 1. Finally, time for the next one. As hard as it is, the best marketing you could do for your book (read: my most precious) is to write the next one. Each book teaches you more about your craft and yourself, so they get better the more you write. Plus, once you actually do find your audience, they're going to want more of your work. You need to have more to offer, and the only way to do that, is to write the next one. Also, the reality is, this seems to be the way to move up in the rankings consistently--putting out new books regularly (see number 3), especially if you can make your first one a loss leader. Readers will get hooked with the first book. Then come back for all the others (::crosses fingers::). I hope you found something helpful in this post. Now, I'm off to obsess over my sales and rankings. Yeah, I know--number 3. I'm learning, but I'm far from perfect. Excellent blog, C.C. Really enjoyed it. Every word so very, very true. And it isn't just your seven year old who'll complain. Ha! All of these are so very true! My biggest thing is to stop editing and just get the damn thing out! Literally, I could edit for months if I let myself. Thanks, Roxie. I'm glad you liked it. Thanks, P. J. I know you speak from experience. Haha! So true. Hubby says he's supportive, but he's the first to tell me when I've been neglectful. Thanks, Hayden. And thanks for going there first. You and the other KIW peeps are awesome role models. After a while, I'm sure all my editing hurts more than it helps. But so necessary. Having gone through this process myself three times, I'd say this is a very accurate description. You learn a little more each time, but the nail-biting process is pretty much the same. I'd say it's more exciting than being traditionally published (which I've also experienced twice) because it allows you so much more control. But of course, the downside of control is the associated decisions, which are all down to you! Good luck with your publication - it sounds very interesting and your cover looks great. I'm so glad you wrote this post. I have yet to get to that point where I am ready to publish but chances are I'll end up taking the self-pub route the first time. So reading about other people's experiences really helps. Thanks for pointing out the 'soft release' and how the dimensions of the book covers may be different from site to site.